Patrick grew up in France where he received a Masters in Computer Science. Focusing his career on sales, he quickly succeeded in winning large contracts in international, highly competitive sales environments. Patrick became an expert in complex sales closing over $2B of revenues. 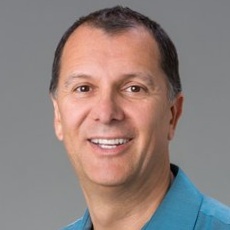 While heading global business development efforts at Silicon Graphics, he initiated, closed and managed multi-million international OEM agreements. Then at Linuxcare –a Kleiner Perkins pre-IPO company– he served as Executive Director Business Development & Strategy. While selling super computers and software to NASA, Shell, Boeing, Canon, BMW, Airbus and more, he met some of the smartest people on earth and became fascinated by the human mind. Using this newfound knowledge, his engineering background and his sales expertise Patrick developed the “Selling to the Old Brain” model, the first neuromarketing model.